In Wooll’s Life of Dr. Warton we have the following characteristic anecdote of Dr. Morell. 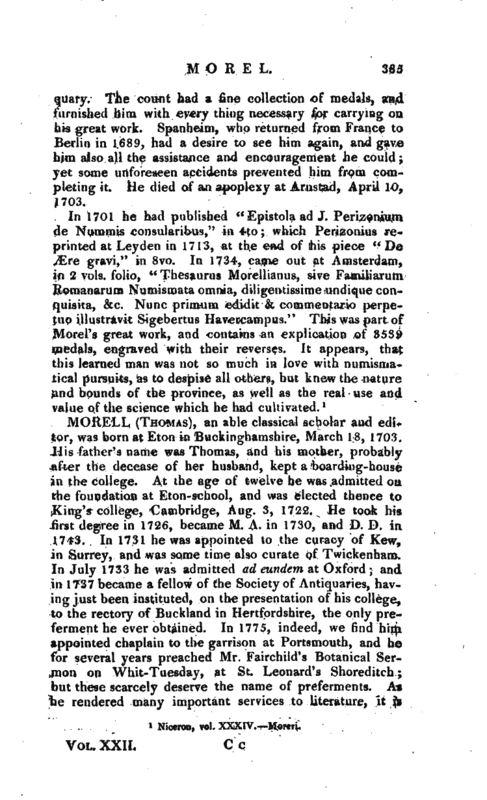 When he visited Winchester, he in a casual survey of the college entered the school, in which some junior boys were writing their exercises, one of whom, struck no less wi’h his air and manner than the questions he put to them, whispered to his school-fellows, “Is he not a fine old Grecian!” The Doctor, overhearing the expression, turned hastily round, and exclaimed, “I am indeed an old Grecian, my little man! Did you never see my head before my Thesau­ rus?" The boy, having made an awkward apology, hastily withdrew and soon finding two of the Prepositors, repeated to them the stranger’s words, who, aware of the dignity of their visitor, instantly came up, and, introducing themselves, offered in a most respectful manner to show him the college: he accepted their offer, and after visiting every part of it with a view of discovering the information and attainments, as well as gratifying the politeness of his guides, parted from them highly pleased with the attention which had been shewn him. attained preferment through such a medium. 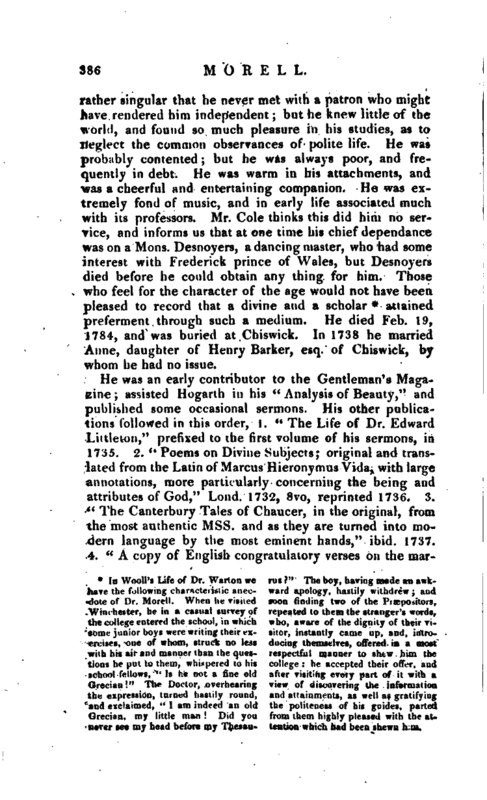 He died Feb. 19, 1784, and was buried at Chiswick. In 1738 he married Anne, daughter of Henry Barker, esq. 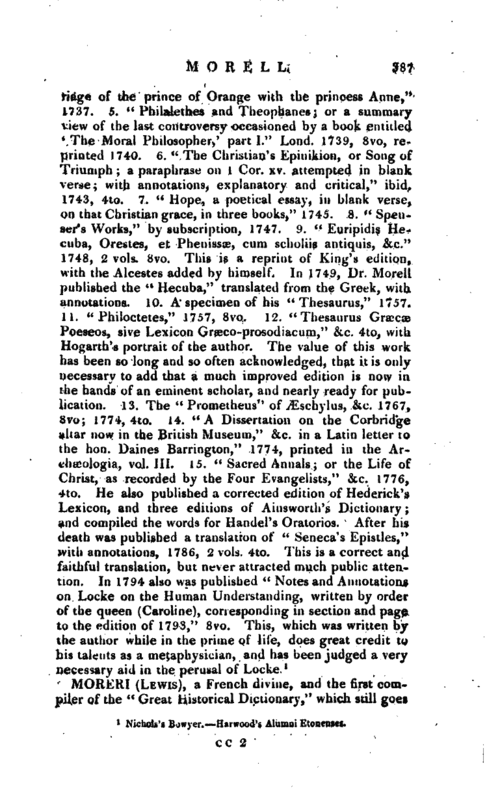 of Chiswick, by whom he had no issue. Nichols’s Bowyer. Harwood’s Alumni Etonenses.